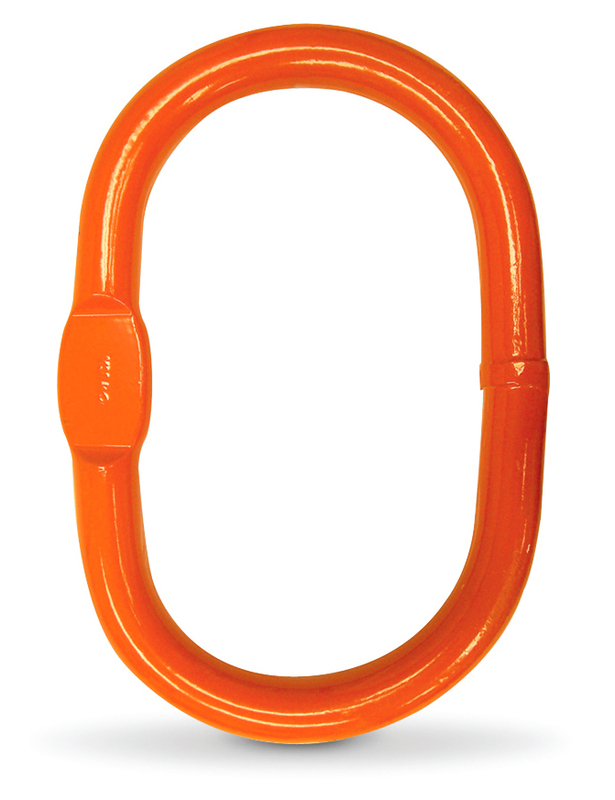 Extra wide body makes these links ideal for wire rope applications and use with Omegaloks. 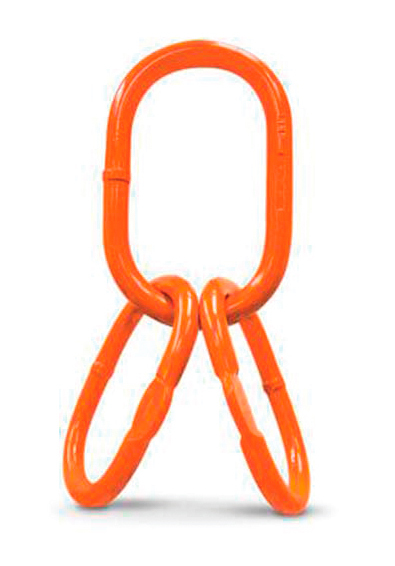 Master link with flat allows for easy installation of these attachments. 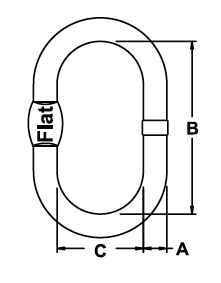 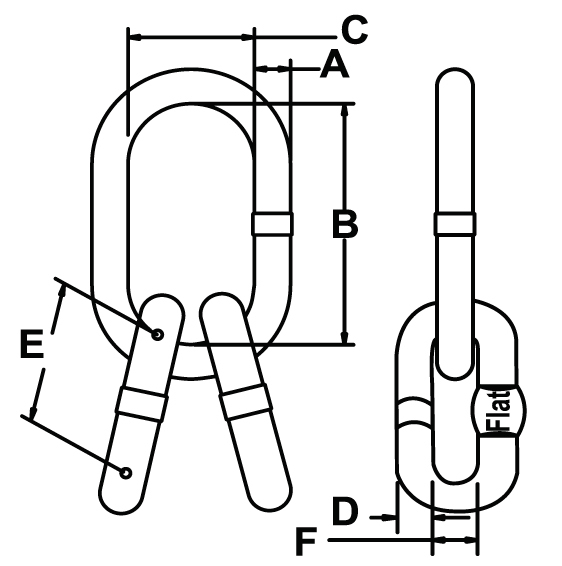 Chart Note: Master link with flats are available through 1-1/4″ only.